When she lost a close race for governor of Missouri two years ago, Claire McCaskill showed she could compete statewide. Now Democrats in her home state and across the country are counting on her to win this November in her race for the U.S. Senate. Democrats need to pick up six seats if they hope to regain control of the United States Senate, which swung to the Republicans in 2002. And with McCaskill running a toss-up race against incumbent Republican Sen. Jim Talent, Missouri is among the states where Democrats most see the potential for victory. Missouri, which selected the winning presidential candidate in all but one election during the past century, is as much a swing state as any. The recent history of the Senate seat McCaskill seeks reflects a string of narrow electoral margins. In 2000, incumbent John Ashcroft lost by two percentage points to Gov. Mel Carnahan, who died in a plane crash during the campaign and whose wife Jean served in his place. Talent then defeated Jean Carnahan in a 2002 special election by fewer than 23,000 votes, getting 50 percent of the vote to her 49 percent. The state’s other senator, Republican Kit Bond, was re-elected in 2004 with 56 percent of the vote against state treasurer Nancy Farmer. So it’s not surprising that polls show McCaskill and Talent–each of whom received more than 80 percent of the vote in their respective Aug. 8 primaries–running neck-and-neck this year. The most recent survey, conducted by Research 2000 and released Sept. 3, showed McCaskill leading by just one percentage point, making the race essentially a tie. Earlier this summer, a USA Today-Gallup poll found Talent with a six-point lead, while a June Research 2000 survey showed the same margin in McCaskill’s favor. As of July 1, the most recent filing deadline, Talent had about $7.12 million in the bank compared to $2.78 million for McCaskill. But in July, the Democratic Senatorial Campaign Committee raised the stakes by pledging about $6 million to help McCaskill buy advertisements. Only one candidate–Sherrod Brown in Ohio–will receive more from the national committee. McCaskill, 53, first served in government as a state representative from 1983 to 1988. After winning two terms as the first female prosecutor for Johnson County, an area that includes most of Kansas City, she was elected state auditor in 1998 and was easily re-elected in 2002. Two years later, she successfully unseated Gov. Bob Holden in the Democratic primary, taking 52 percent of the vote. Despite strong showings in the cities and about 48 percent support statewide, however, she lost the gubernatorial race to Matt Blunt, then Missouri’s secretary of state. To that end, she’s already taken five statewide RV campaign tours this year, giving speeches and answering voters’ questions about issues from Medicare’s new Part D prescription drug coverage to the use of ethanol and other alternative fuels, which McCaskill supports as a way to decrease U.S. dependence on oil. She’s also held campaign events with supporters such as former President Bill Clinton, former Attorney General Janet Reno and even country music star Willie Nelson. Both McCaskill and Talent, 50, will also reach voters statewide with a pair of scheduled debates; the first will be an Oct. 8 appearance on “Meet the Press,” the second a one-hour Oct. 16 primetime debate hosted by a television station in Springfield. Two ballot initiatives that McCaskill endorses could help determine the race. Summer polls have shown voter support for both measures in the 60-70 percent range. On Nov. 7, Missouri will decide whether to pass Amendment 2, which would allow any stem-cell research legal under federal law to take place in Missouri. 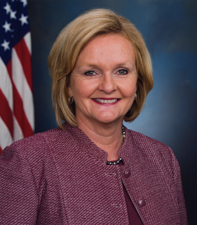 McCaskill is a longtime supporter of stem-cell research, which backers believe could lead to cures for diseases such as diabetes, Alzheimer’s and sickle-cell anemia. In July, she was selected to give the Democrats’ national radio address on the subject. In the Senate, Talent voted against a bill to expand federally funded research on embryonic stem cells, which passed both houses of Congress in July but became the first piece of legislation ever vetoed by George W. Bush during his presidency. Talent–who opposes abortion rights–says he supports research on adult and umbilical stem cells. But in May he came out against Amendment 2, saying he won’t support the cloning or destruction of embryos in the research process. The amendment, however, specifies that embryos cannot be cloned and that no blastocyst–the cell that forms after fertilization but before implantation–can be created specifically for stem-cell research. Instead, researchers could use some of the thousands of surplus embryos stored at fertility clinics and medical centers. Voters will also decide whether to pass Proposition B, which would raise Missouri’s minimum wage from the federal rate of $5.15 an hour to $6.50 (the same as that of neighboring Illinois) with annual increases to reflect inflation. Talent has not taken a public position on the wage increase, saying as a federal official he prefers to stay out of a state matter. McCaskill supports raising both the state and federal minimum wage. Jeff Fleischer is a Chicago-based journalist. He has written for publications such as Mother Jones, the Sydney Morning Herald, the New Republic, the Chicago Daily Herald, Mental Floss and Chicago Magazine.